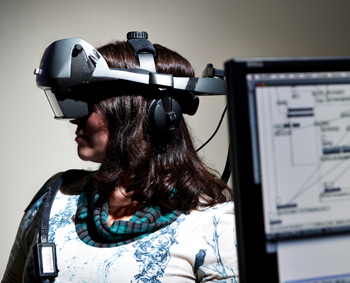 Directed by film Professor Caitlin Fisher, Canada Research Chair in Digital Culture, York’s Augmented Reality Lab is at the forefront in working with both established and emerging technologies. As part of the Future Cinema Lab, it is dedicated to producing innovative research methods, interfaces and content that challenge cinematic and literary conventions and aim to enhance how people interact with their physical environment and with each other. 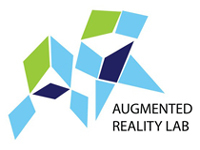 Situated in the department of Film, the Augmented Reality Lab offers artists and designers the opportunity to explore new screen technologies, approaches and techniques through production and theoretical study of this emerging medium. 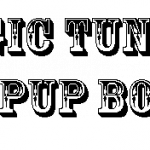 The lab offers some of the most advanced technology available to practitioners in a fine arts context. Intersense (IS 900) Motion Tracking System (6 DOF). NVIS nVisor ST – Optical See-through head-mounted display. Under the direction of film Professor Caitlin Fisher, Canada Research Chair in Digital Culture, the AR Lab at York University is at the forefront in working with both established and emerging technologies to produce innovative research methods, interfaces and content that challenge cinematic and literary conventions and aim to enhance the ways in which people interact with their physical environment and with each other. Lab participants work interactively and across disciplinary boundaries, particularly film and computer science.